This movie was all about costumes. Specifically the wigs, hair and make-up. Undeniably inspired by the metal scene of the 80s, the make-up department of The Man with the Iron Fists brought 80s glam rock back from the dead. I never thought I would be so happy to see teased and highlighted locks on men again. 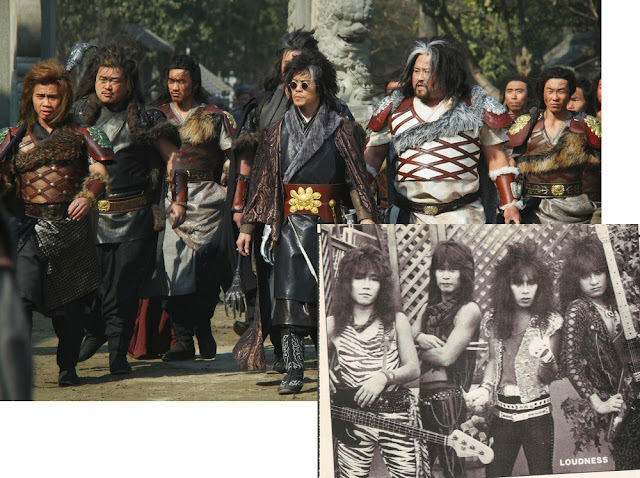 From the first scene the Lion Clan appeared, I knew this hair & make-up team was special. They must have lived and breathed the look back then just as hard as they did for this movie. Feathered mullets. It just might be time for a comeback. 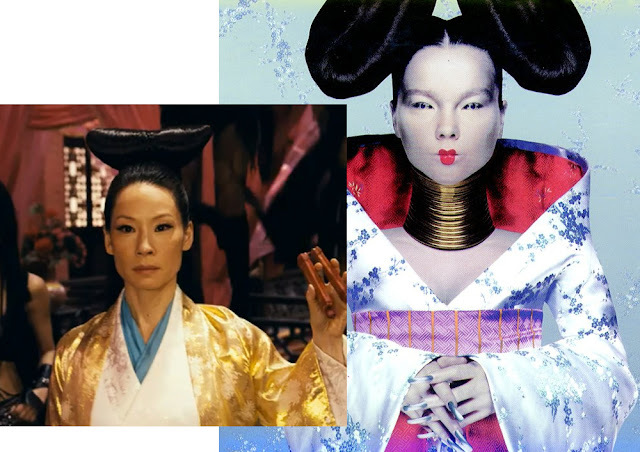 And the 90s influenced Lucy Liu's character, Madame Blossom. Miss Liu was so lucky to look so cool. A huge thank you to Aileen Seaton, the Hair & Make-Up designer for making this movie better. And I mean a WHOLE lot better.